Warsaw Center of Mathematics and Computer Science (Warszawskie Centrum Nauk Matematycznych) is a joint project of two scientific units: the Faculty of Mathematics, Informatics and Mechanics of the University of Warsaw (MIMUW), and the Institute of Mathematics of the Polish Academy of Sciences (IMPAN). The researchers working in this area are scientific descendants of the legendary Lvov School of Mathematics (Banach, Mazur, Orlicz). The high reputation of the scientific group in this field in Warsaw was established by Kwapien, Pelczynski and Zabczyk.  Dynamical Systems were pioneered in Warsaw by Krzyzewski and Szlenk (a former student of Mazur). Courses taught by Yakov Sinai during his visits to Warsaw in the late 60's had a big impact on the emerging community. Also Misiurewicz, Swiatek and Wojtkowski - invited speakers at ICM's - must be mentioned. Models arising in engineering and natural sciences are usually described by partial differential equations (PDEs) and their natural modifications. From that point of view, PDEs form an indispensable element of applied mathematics and sometimes a bridge in cross-subject studies. The research of the Biomathematics group is guided by the principle of moving constantly from rigorous mathematics to applications and back. With the aim of efficient solving of NP -hard optimization problems, our algorithmic group has contributed to several approaches. The group aims at improving the best known results for natural graph problems by matching or breaking some natural barriers. A group of our young logicians has actively contributed to the area of logic for databases (6 papers on the top conference PODS since 2006), in particular, to the issues of algorithms for query evaluation on XML data, and translations between databases. One of the main focuses of our Computational Biology group led by Tiuryn is modeling and discovery of regulatory elements within the non-coding parts of genomes. Sequencing of multiple genomes revealed that most of the sequence does not encode proteins, but rather plays a regulatory role in the life of cells.